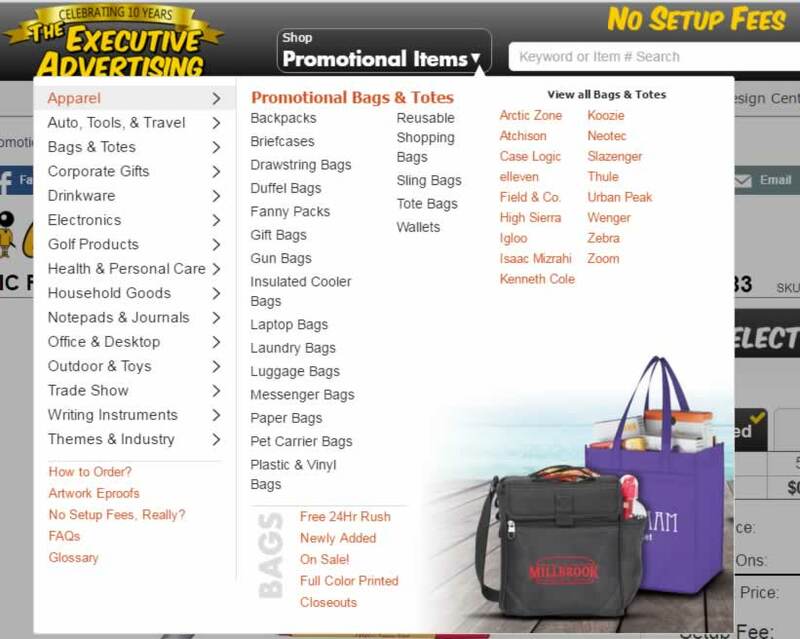 Finding promotional products at The Executive Advertising couldn't be easier! Navigate our product categories by using our main menu. Or use our product search to find products in our massive online catalog. You can select your desired quantity in the Quantity Discounts box. 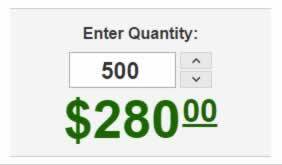 Or enter a custom quantity with your keyboard or by using the arrow buttons to increase or decrease your quantity. As you update the quantity, the current price breakdown area will immediately reflect your current prices based on the quantity and add-ons you have selected. Add-ons are additional optional upgrades. Depending on the product, an example add-on could be adding a second location imprint, multi-colored imprint, or product feature upgrade. 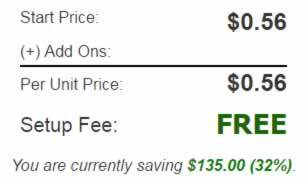 Remember, the higher your quantity, the more you save per unit! Next it's time to select your product details! This includes anything from item colors, to imprint colors, to imprint locations. There is also a field called "Special Instructions". Here you can specify any instructions for our customer service representatives, like the date by which you need your products delivered. We will do our best to accomodate your delivery date requests. Learn more about our 24 Hour Rush Orders and our other rush options. After selecting your product details, you will see a brief summary of your order so far, as well as the amount you are saving off the MSRP. 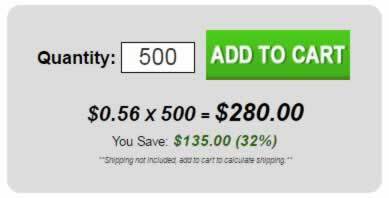 Make any final adjustments to your quantity, and then click "Add to Cart" where you will be taken to the Cart page. You will also be able to get shipping rates and enter coupon codes. If you are not logged in, you will be able to log in to your existing account, or create a new account. On the Customer Information page, you are able to update your shipping address and email address. You're almost there! On the Shipping Selection page, you can select the UPS or FedEx option that works best for your required delivery date. If you need your products in a hurry, learn more about our 24 Hour Rush Orders and other rush options. You will also be able to add coupon codes or gift certificates on this page. Then agree to our terms and click Next! On the Review Order page, you will be able to take one last look to confirm that accuracy of your shipping and billing address, product details, and your desired quantities. 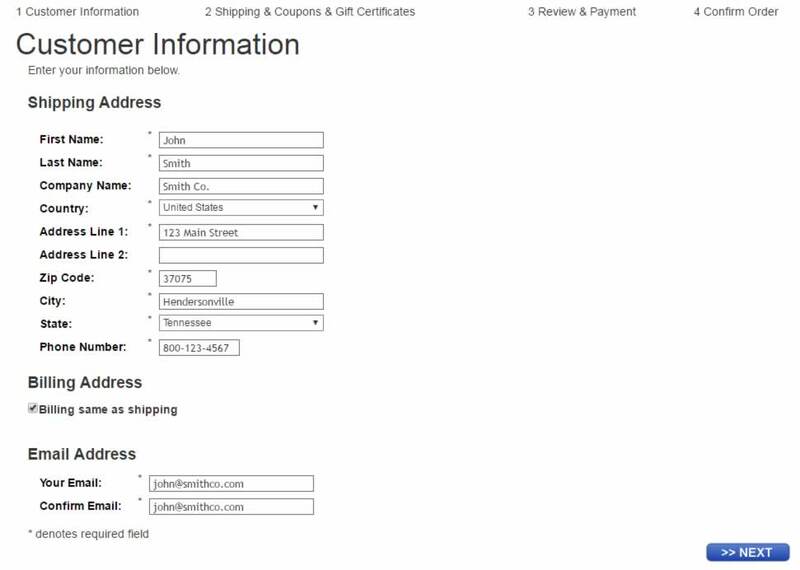 At the bottom of the page, you will be able to enter in your payment information. Once completed, click "Place your Order"! You will be taken to the Order Confirmation page. Print this page as a receipt if you wish! A confirmation of your order will also be sent to the email address for your account. 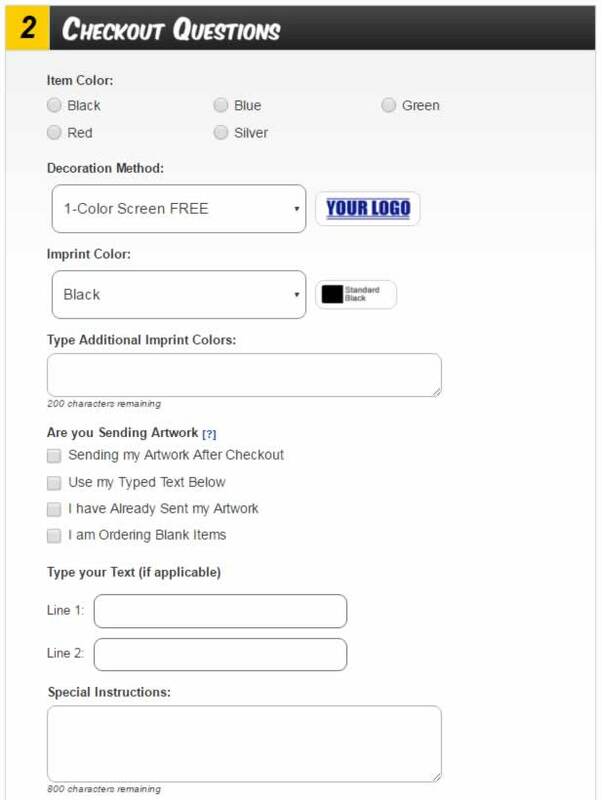 The last remaining step is to upload your artwork if you wish to have your product imprinted with a custom logo. Click here to Upload Artwork. Your job is done for now! If you have uploaded artwork, our art department will work on putting together a mockup of how your logo will look on the product you have selected. A free artwork e-proof will be sent to you for approval on all new orders. Simply reply back and approve or disapprove the mockup. If you approve the artwork, the order will be sent to production. If you disapprove, please state your requested modifications so we know how to improve your imprint.